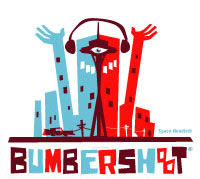 If you haven't already snapped up your thrillingly cheap 3-day passes for Bumbershoot 2008, you're getting left behind. The $60 Insider's Deal pass is ALMOST SOLD OUT, so consider this fair warning. Once those bad boys are gone, you'll be left out in the cold. Turn that holiday cash you got from Grandma into something that will remind you of warm summer days. Your password is: BUMBERHOLIDAY.